Lake Niassa has been officially declared a reserve by the Government of Mozambique today, protecting the species and natural habitats of one of the largest and the most bio-diverse, freshwater lakes in the world. Lake Niassa, has been officially declared a reserve by the Government of Mozambique today, protecting the species and natural habitats of one of the largest and the most bio-diverse, freshwater lakes in the world. “Protecting Lake Niassa will have an immediate and lasting impact on the health of the fisheries located within it, providing security to the people who depend on the lake for their food and livelihoods,” said Rubina Haroon, WWF Eastern and Southern Africa Regional Programme Office, Representative. “Now it is the time to translate the zoning and management plans into practical actions on the ground. 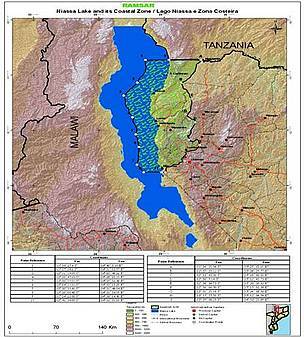 Now is the time for friends of Lake Niassa to rally round and lend a hand”. 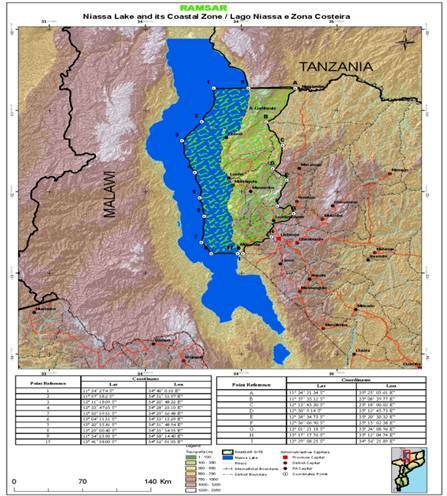 The Government of Mozambique has also approved the proposal for the designation of Lake Niassa as a Ramsar site, including not only the reserve, but surrounding wetlands and watershed. This wetland will be the second Ramsar site for Mozambique after the declaration of Marromeu Complex in 2003. Lake Niassa, spanning 1,363,700 hectares and 700 meters deep is Mozambique’s part of the third largest and the second deepest lake in Africa (referred to as “Lake Malawi” in Malawi, and as “Lake Nyasa” in Tanzania, which are the other two countries that share it). The lake’s tropical waters and shores are home to an estimated 1,000 species of cichlids, with only 5 percent found elsewhere. The region is also home to significant and diverse bird populations, mammals and reptiles. Through collaboration of the Government of Mozambique (Ministries of Tourism, Fisheries, Environment and Defense, the Niassa Provincial Government), USAID, The Coca-Cola Company and WWF, village level mechanisms for monitoring illegal and overfishing, erosion and deforestation, managing fisheries, and mitigating the impacts of climate change were developed. Zones were created that will allow for total protection of species in some areas, seasonal protection in others, depending on spawning times and dedicated artisanal fishing areas. 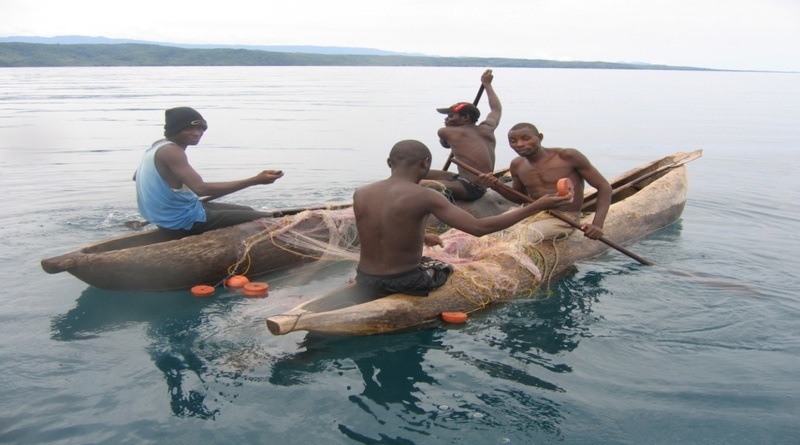 Local communities were instrumental in achieving success by making several concessions in order to protect their main source of food and income by agreeing to the closure of all fishing rivers during the annual spawning runs for lake salmon and other species, and the total protection of the Chambo (Tilapia sp.) spawning beds during breeding season. Additionally they created a team of community rangers responsible to district administration and cooperating with the Navy to enforce existing laws surrounding illegal fishing, timber cutting, illegal migration, mining and piracy. “Through an innovative approach to water use management, input from the local communities and the will of the government, we are able to protect endemic species of fish during the critical stages of their lifecycle,” said Haroon. The new reserve is the first fresh water lake under protection in Mozambique covering an area of 47.8 thousand hectares adjoined by a buffer zone of another 89.3 thousand hectares. It fulfils the government’s commitment to protect 10 percent of lake holdings and is in addition to the 17 percent of terrestrial land holdings that are currently protected by the government, 7 percent more than they committed to when signing the Jakarta Accord. The reserve will be managed by the Ministry of Fisheries with support from the Ministry of Tourism and Ministry for Coordination of Environmental Affairs. The Ministry of Defence will help with enforcement. Local communities were instrumental in achieving success by making several concessions in order to protect their main source of food and income. Map of Niassa lake and it's coastal zone.